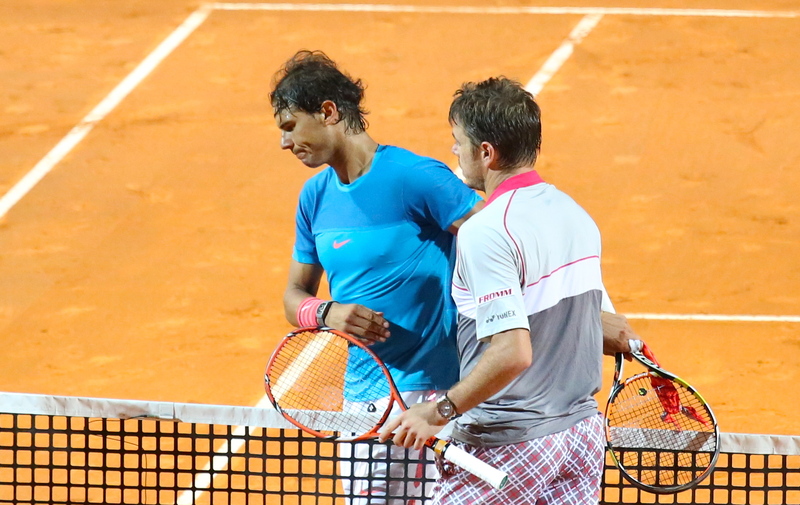 Before the Mutua Madrid Open, Stan Wawrinka was practicing with Rafael Nadal on the clay of the Caja Magica. 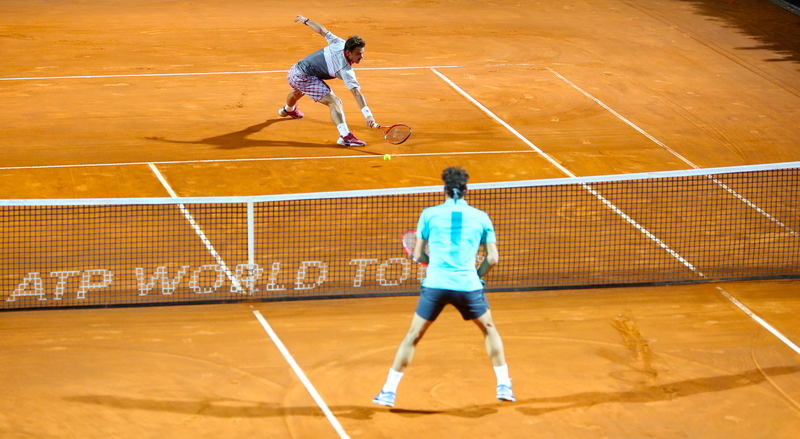 Lately, it looks as if Wawrinka stole Nadal’s magic on the powdery stuff. The big hitter, known as “The Stanimal”, has been pounding deep forehands and whipping one-hand topspin backhands into corners as he storms into the French Open final. (Update: He beat Novak Djokovic in the final 4-6, 6-4, 6-3, 6-4). Few predicted his surge on clay this season, even though he won the French Open juniors. After practicing with Nadal, Wawrinka lost early in Madrid to Grigor Dimitrov 7-6 (5), 3-6, 6-3, as Dimitrov saved 10 of 12 break points. In Rome, Wawrinka was down 2-6 in a tie-breaker, then came back to oust Nadal 7-6 (7), 6-2 with slugging that stunned even Nadal. Wawrinka then lost the next day to Roger Federer 6-4, 6-2. 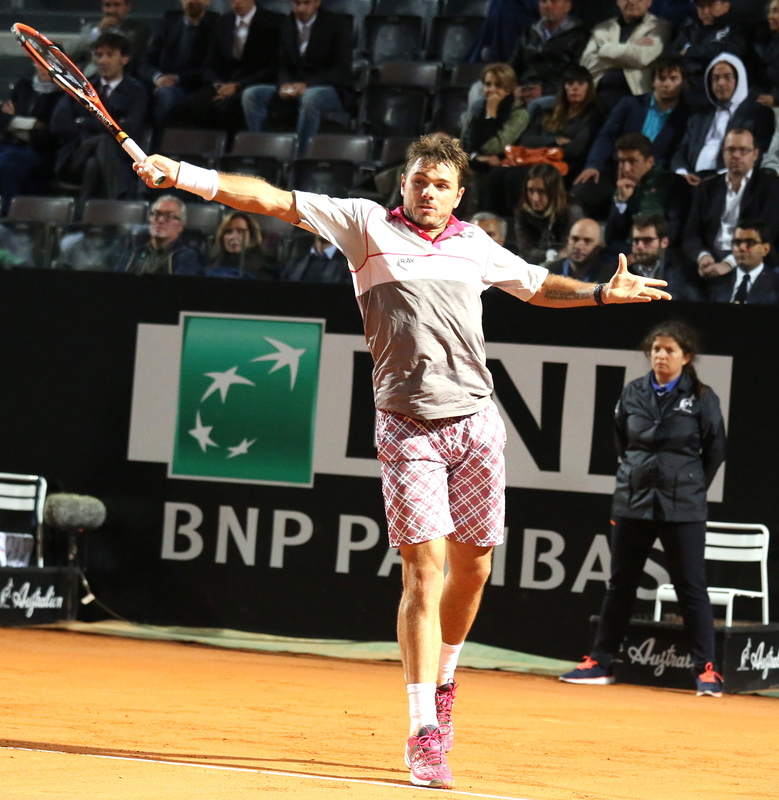 Few were taking Wawrinka seriously on clay. A few weeks later in Paris, many expected Federer would roll on his way to a final with World No. 1 Novak Djokovic. 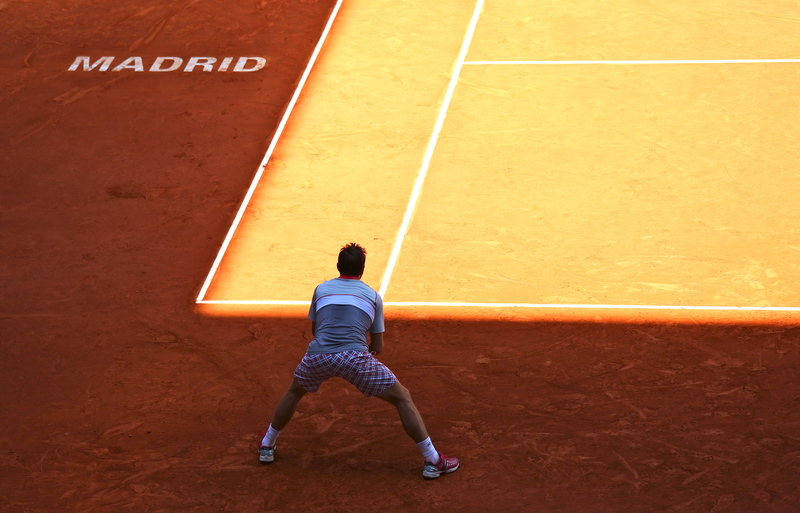 But the Stanimal emerged. Taking advantage of Federer’s high short balls, Wawrinka slapped multiple hard flat forehand lasers to win their French Open quarterfinal in straight sets 6-4, 6-3, 7-6. 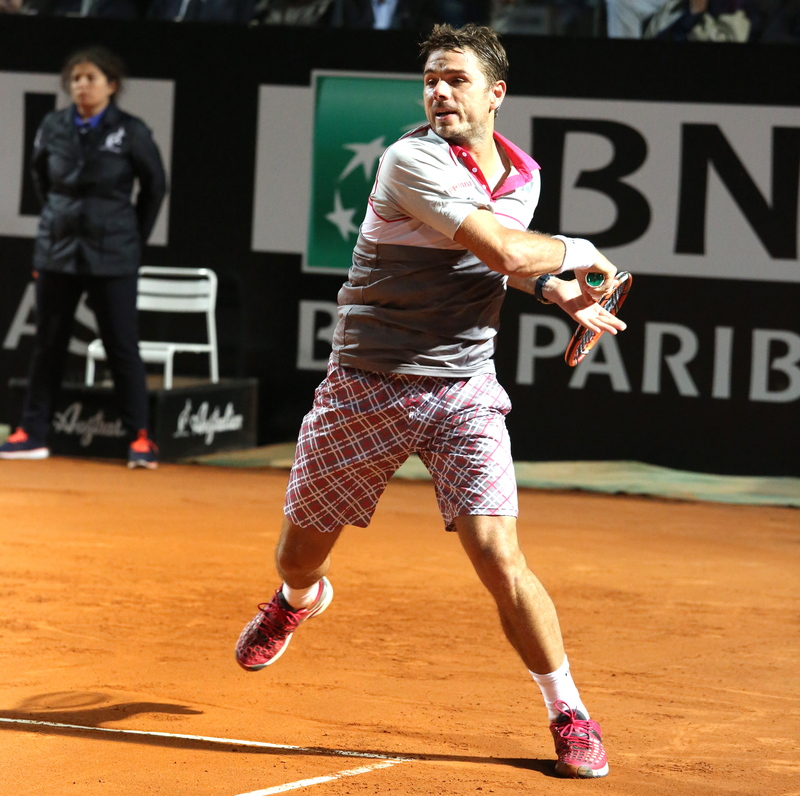 Against another aggressive big-hitter, Wawrinka defeated Jo-Wilfried Tsonga to advance to the French Open finals. He then hit 60 winners to stun Djokovic. He simply blew Djokovic off the court with power from both sides, and showed enough patience on clay to win lengthy rallies. When Djokovic went after his forehand, Wawrinka unloaded a barrage of topspin cross-court or inside-out winners, as well as his signature hard, flat lasers that also cut through a windy day against Federer. 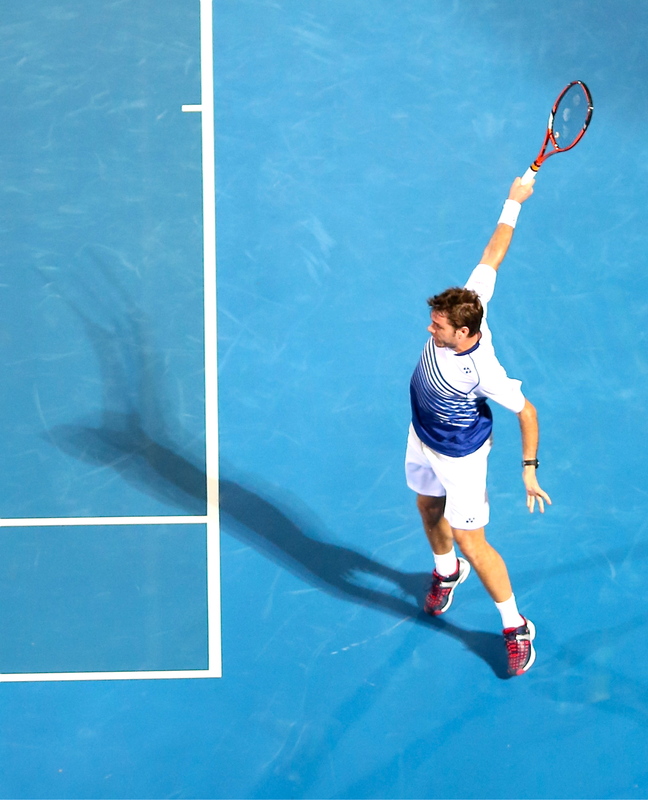 With Wawrinka’s forehand penetrating his defensive wall, Djokovic targeted Wawrinka’s backhand side, where Wawrinka lacks the defensive slice of his compatriot Federer. 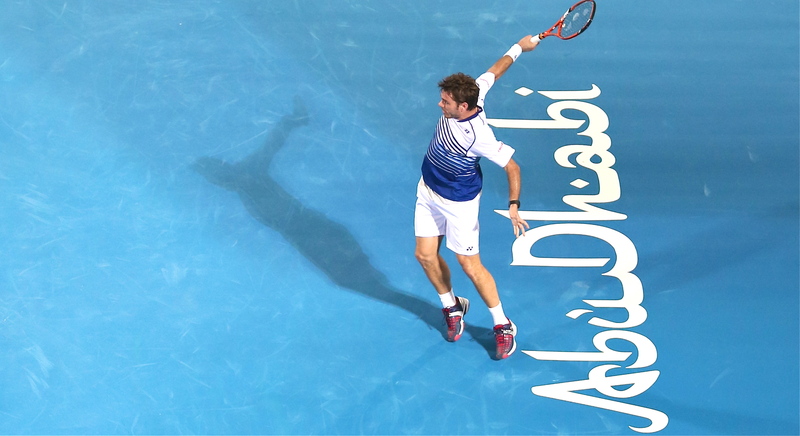 But Wawrinka defended well enough to stay in points, and then ripped magnificent topspin winners, including passing shots cross-court and down the line. He also displayed a return game that gave Djokovic a taste of his own medicine. In the end, Wawrinka showed enough grit and emotional toughness to weather the storm of inevitable emotional swings in a final. Djokovic later praised him for his strength of character. 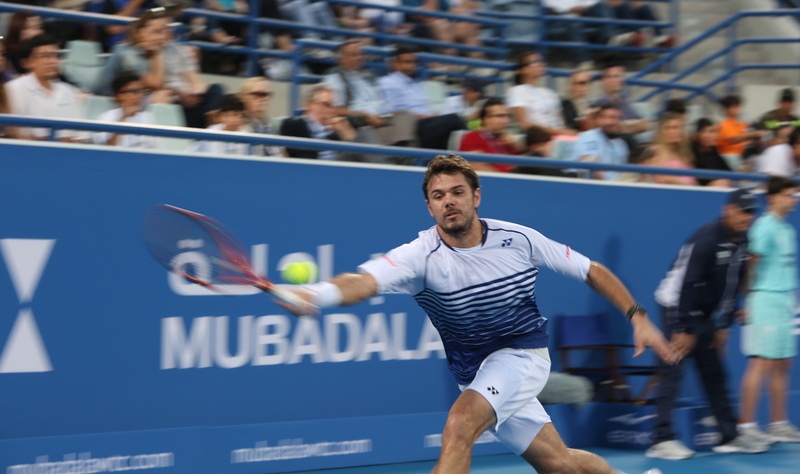 I had a chance to photograph Wawrinka in Madrid, Rome and earlier this year at Mubadala in Abu Dhabi. 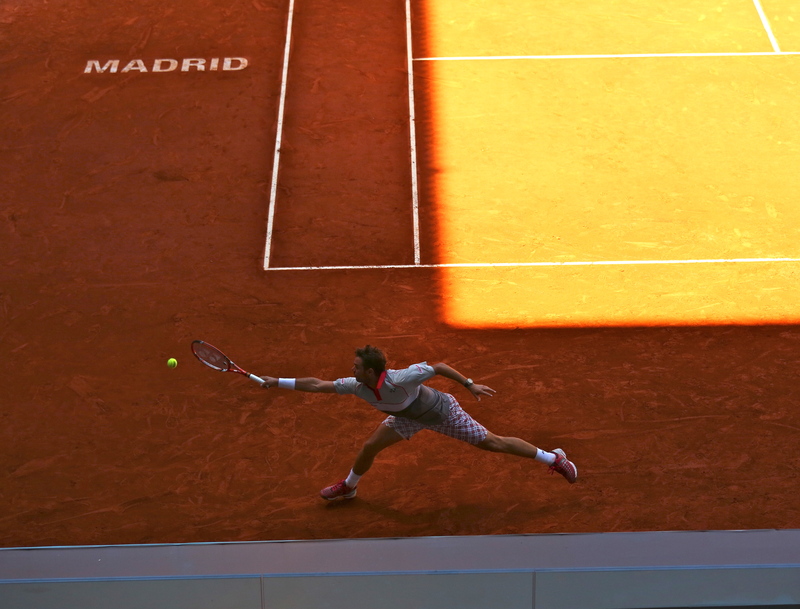 That exhibition featured the star-power of Djokovic, Murray and a Nadal returning from injury. Few seemed to pay attention to Wawrinka. During one presser, organizers asked if any journalists wanted to talk to Wawrinka. Nobody did, and he left without doing a presser. 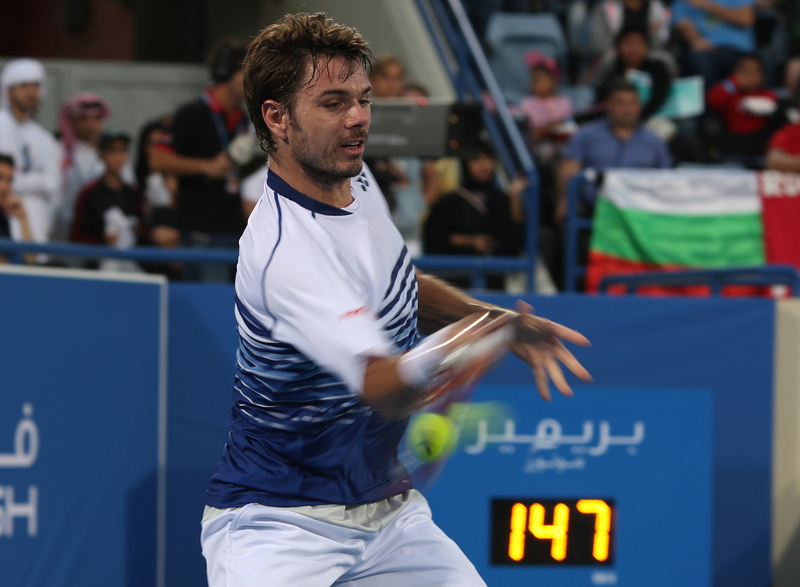 Wawrinka has long been known as a hot or cold player who can beat the best but then lose in the first round, as he did last year in Pais. Many still know him as the “outsider” who, by winning the Australian Open in 2014, finally broke the Big Four’s stranglehold on the Grand Slams. In fact, he has now won as many slams as Andy Murray, and since the start of 2014, he’s won as many (2) as Djokovic, and more than Nadal (1), Federer (0) or anybody else. With his stunning win at the French Open, it might be time to talk about a Big Five.